Conspiracy theories are no longer confined to photocopied newsletters and obscure books—they are now seen by millions. The conspiracy website InfoWars has as many monthly users as the Chicago Tribune, and its daily three-hour radio show is syndicated on 160 radio stations. Misinformation and conspiracy theories have always been part of human culture, but now they travel at fiber-optic speed, allowing like-minded theorists to connect more easily than ever. The result is the creation of staggeringly large online conspiracy networks and self-reinforcing ideas. Further, the speed, reach, and fracturing brought about by the digital age has allowed cynical opportunists to thrive. Hostile foreign powers like Russia now use misinformation and conspiracies to attempt to sway American elections and sow discord. Are conspiracy theories the new normal in American discourse? Why are lies so compelling, and why and how do they spread so quickly? What are the ways disinformation can be used as a political weapon, and how might our democracy be affected? How do we curb disinformation while balancing free speech? 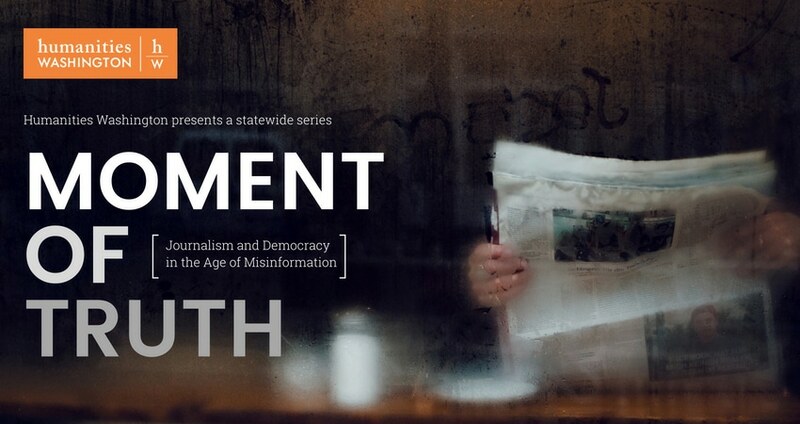 Join us for a conversation with experts at the front lines of the information wars: data science professor at the University of Washington, Jevin West; psychology professor at Western Washington University, Ira Hyman, and political science professor at Seattle Pacific University, Katya Drozdova. Moderated by Western Washington University professor, Johann Neem. Humanities Washington would like to thank the Andrew W. Mellon Foundation and the Pulitzer Prizes for their partnership.